The Twin Cities is a great place to live, and you can find everything from small town charm to hip, urban communities here. The question for those relocating to the area or looking to move is where they may want to go. 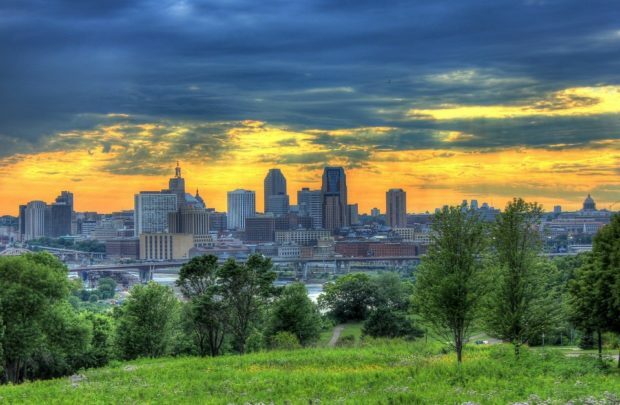 Here are our 6 best places to live in the Twin Cities, and we’ve provided something for everyone. Como Park is most famous for the free botanical garden and zoo in the massive green space that gives the community its name. Como Park in St. Paul is an excellent neighborhood for families as well. Your family could go swimming in the lake or pools. Take the kids to the amusement park or water park in the 384-acre Como Park itself or enjoy the tree-lined sidewalks. The Creative Enterprise Zone is an intentionally formed neighborhood for artists, entrepreneurs and “makers”. Many outsiders and even some locals don’t know about this neighborhood established in 2013. It is located in the vicinity of Raymond Avenue Station stop. It includes parts of Raymond Avenue and University Avenue. If you’re looking for apartments in St. Paul, this is a hot market to consider. Cathedral Hill is one of the oldest neighborhoods in the area and has some of the best apartments in St. Paul. There are many century old buildings here; one of the benefits of the older downtowns is its walkability. Cathedral Hill has a walk score of 76. You can find Victorian houses here among the shops and restaurants. The neighborhood has many small boutiques and restaurants. Excelsior used to be an upscale area full of grand hotels and attractions along Lake Minnetonka. It is still rather busy, but it is now surrounded by homey communities. Here you can find Victorian homes within reach of the waterfront. The brick commercial district in Excelsior provides many amenities and services, though you’re a short trip up the highway from the skyscrapers of the city. The area provides small town charm and a sense of community while still being close to the city. Linden Hills is located in southwest Minneapolis. The area is bordered by green space. Lake Harriet and Lake Calhoun border the city, and there’s a country club as well. The neighborhood has many rolling, tree-lined streets. The community has a small but busy downtown; there are bakeries, a butcher shop and toy shops here just to name a few. The neighborhood is experiencing a renaissance in restaurants and has something for everyone. The area is so popular that there has been a spate of new home construction and apartment towers. Wayzata used to be a vacation spot for the upper class seeking to escape from the Twin Cities. It is now a full-fledged suburb in its own right. The downtown remains true to its historic roots; the area feels like the small town it once was. You can find restaurants, shops and nature within easy reach. Work is also within a good commuting distance for most people, since the average commute for residents is about twenty minutes. That probably contributes to the recent wave of luxury housing developments in the area. Whether you want a spacious home for a growing family, an apartment in a creative community or something in between, the Twin Cities has something for everyone.